Celtic staged an admirable comeback and eked out a 2-2 draw, leaving Amakhosi winless in the league. 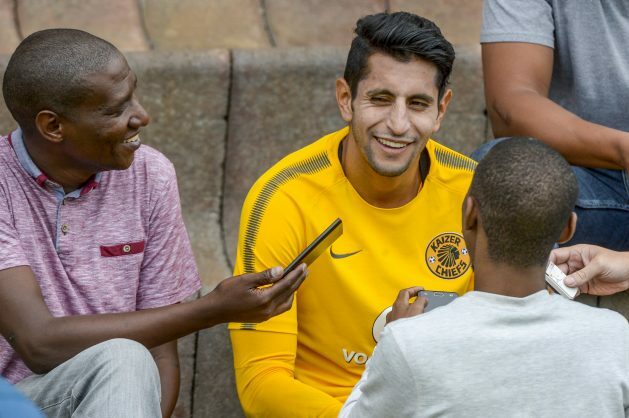 Leonardo Castro has admitted Kaizer Chiefs could have gotten a better result had they closed shop when they were leading 2-0 against Bloemfontein Celtic in an Absa Premiership match at FNB Stadium on Wednesday night. “I feel frustrated because we were leading and we were supposed to read the game and close it. But sometimes that is the part where the coach will need to help us on. As players we know what is happening and we try but at the end of the day we can’t concede goals like that. Stupid goals, even in the last game we did the same thing,” said Castro. “We were leading 2-0 and if we had put a midfielder like (Wiseman) Meyiwa and maybe give (Siphelele) Ntshangase time to recover for the next game… maybe that would have worked. Maybe I am wrong, or I am right but we need to try something different. Sometimes when you play two or three games in a row you get tired, you are only human. Sometimes you need to refresh the team. But that is my view, my opinion,” added Castro.